The Lloyd Center for the Environment is excited to announce the receipt of a $50,000 matching grant from the Saquish Foundation. This generous grant will make a significant difference in the lives of the children that the Lloyd Center aims to reach through the development and implementation of quality science education programs in the Alfred J. Gomes Elementary School (New Bedford Public Schools). Supporting the Lloyd Center’s science programs since 2014, the Saquish Foundation has made it possible for the Center to continue into a second pilot year at the Gomes School which means a full implementation of the Gomes Initiative. “We are thrilled to have the generous support of the Saquish Foundation in this important initiative. It has been an absolute pleasure for our Staff to have this opportunity to work with the Gomes School Community.” Lloyd Center Executive Director Rachel Stronach commented enthusiastically. In the first year pilot of the Gomes Initiative, Lloyd Center educators worked with the Gomes Elementary School administration and teachers to identify key topics at each grade level in line with the newly adopted Massachusetts Science and Technology/Engineering Standards. Educators developed programs, coordinated program schedules with Gomes administration and teachers (in-school and field trips), designed and implemented professional development for teachers, and piloted a selection of programs throughout the school year. In this first year, all second grade classrooms participated in a one hour-long program of ‘Estuary and Whales’ with live estuary organisms sparking student interest and aiding in teaching habitats. Fourth grade students participated in the Lloyd Center’s Feathery Focus Program (in-class sessions and a field trip to the Lloyd Center). Feathery Focus provides elementary students and teachers with hands-on activities that introduce the dynamic and complex ecology of birds. Feathery Focus promotes critical thinking, inquiry, and self-discovery. 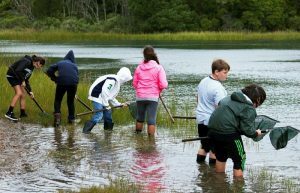 Fifth grade students participated in the Center’s Climate Science Learning Project (CSLP) which consists of three in-class sessions, and a field trip to a private field site in May/June. 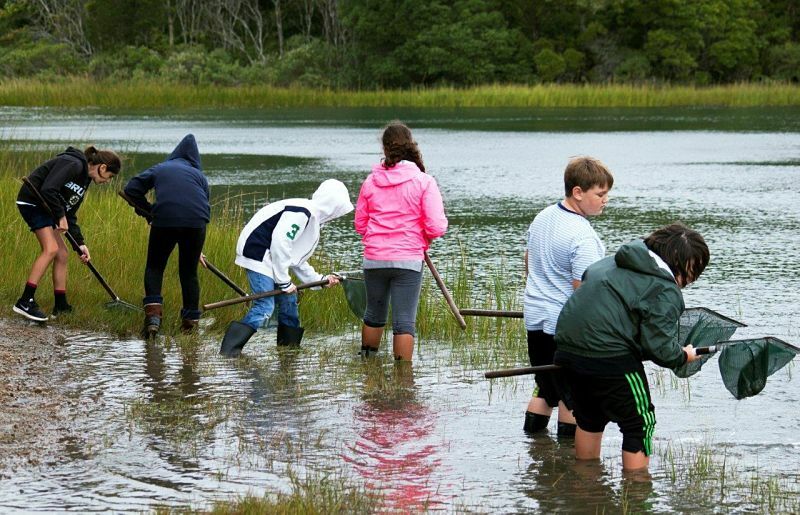 The Lloyd Center’s CSLP focuses on the projected effects of climate change on local biodiversity, introducing age-appropriate math, writing, critical thinking and life skills into core climate science lessons. Now in the second pilot year, with full implementation, programs have been developed and selected in collaboration with the Gomes School Leadership Team to compliment the scope and sequence of their curriculum.